With global opportunities on the rise,. having a multilingual workforce has become a critical market success factor. Language proficiency and awareness of a market's culture, local customs, and business traditions conveys respect for customers and colleagues, which leads to greater trust and improved business results. Businesses are providing language-learning resources that prepare employees to engage in these markets. 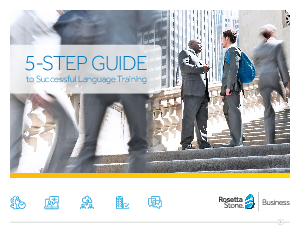 Forbes Insights and Rosetta Stone surveyed 200+ executives globally to understand the impact of language training on companies and employees. Read this guide to learn the key themes and data from the report.